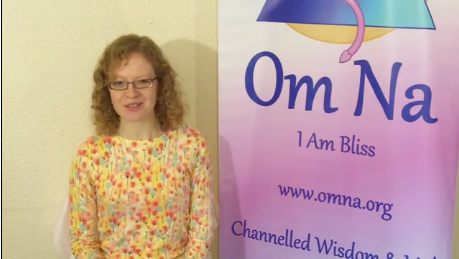 Natalie Glasson is a Channel, Author, Workshop Facilitator, Spiritual Mentor and Founder of the Sacred School of OmNa. Natalie has been a channel for over 10 years dedicating her life to assisting others in awakening to the light of the Creator. Natalie has always been able to connect with and express the consciousness of numerous Ascended Masters, Archangels, Angels, Elementals, Goddess Beings and Star Beings. She constantly shares new wisdom and enlightenment to aid emergence of the divine energy within the physical body, thus supporting the manifestation the Era of Love. Natalie is known for her pure and powerful channeling ability which attracts many wishing to evolve spiritually to study with her. The Creator’s love and the manifestation of inner bliss are always at the center of her communications, due to these qualities being valued by her soul. Natalie’s soul extends from her Soul Group the Celestial White Beings who exist from the 14th dimension and beyond, she is currently acting as a representative of their energy and consciousness on the Earth. Natalie’s first book was published in the UK in November 2010 entitled, Twelve Rays of Light, a Guide to the Spiritual Hierarchy. 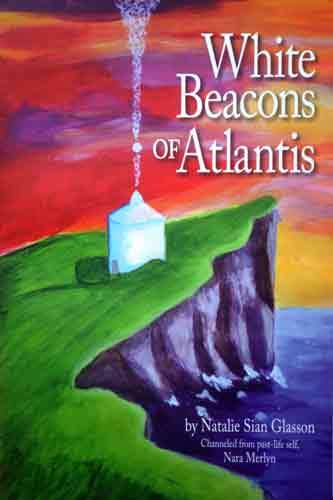 The book was later published and is available in the Lithuanian language. The Twelve Rays of Light is a unique guidebook to the spiritual hierarchy and energy levels beyond the Earth. 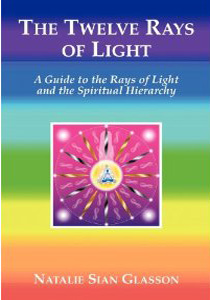 The book helps you to discover the guides, teachers, leaders and Ascended Masters of the spiritual planes upon whom you may call daily to advance your development, expand your awareness and awaken your true self. Through the study of and integration with the rays and spiritual hierarchy, you will discover the keys to your own ascension process on the Earth. Natalie’s channeled messages are being published by Sedona Journal Magazine in the USA since September 2015. 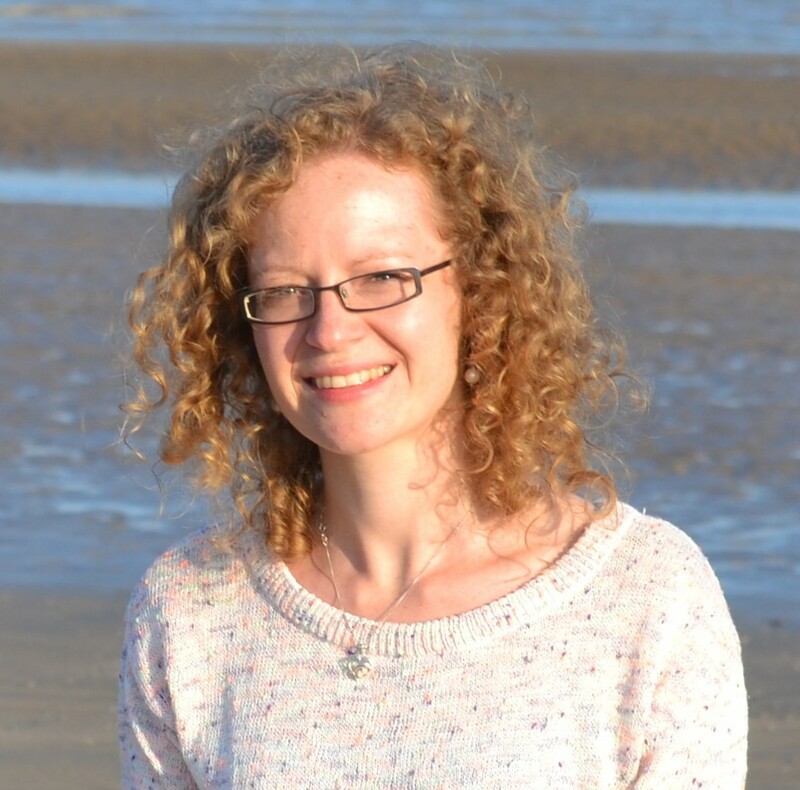 Natalie facilitates channeled workshops in London, Glastonbury, Ireland, Wales and Lithuania. She has also visited Egypt and Israel as a channel for spiritual groups. Through her website, the Sacred School of OmNa, Natalie shares a weekly free channeled message. Many people have stated that it is almost as if the communication is for them personally as it ties in with their own spiritual experiences at the time, even though it is intended for humanity as a conscious group. These messages are forwarded to innumerable people across the world and placed on numerous Internet forums and websites concerning channeling and spirituality. The messages have been found translated into French, German, Spanish, Romanian, Polish, Norwegian, Finnish, Japanese and more. The purpose of each message is to assist in self-realisation, exploration, and development in order to bring forth the heavenly expansive loving energy of the Creator that naturally exists within every person and soul. 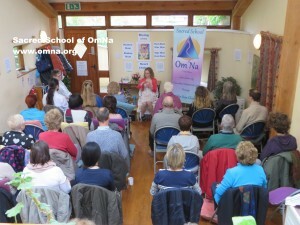 The Sacred School of OmNa is abundant with channeled meditation downloads, Capsules of Wisdom, invocations, affirmations, videos and so much more. You can also experience Natalie channeling live in her channeled webinars sessions which inspire personal exploration and ascension. When Channeling Natalie does not succumb to a trance like state she remains aware in a meditative state while spirit guides speak through her; this is a form of mastery and aids in integration with the divine energies. Through this method of channeling Natalie is able to learn while channeling for others, accepting enlightenment to assist her own growth. 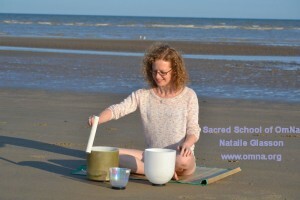 In her spare time Natalie enjoys focusing on her own spiritual awakening, playing her crystal singing bowls, painting and practicing kundalini yoga. Born and brought up in Wales, Natalie now lives in London, UK.